Shares of Uniti Group (Nasdaq: UNIT) have been cut in half in the past few weeks, turning an already double-digit yield into an astounding 25.5% yield. The culprit is the fact that Uniti’s largest customer, Windstream (Nasdaq: WIN), filed for Chapter 11 bankruptcy protection. Uniti Group provides infrastructure and capital to the telecommunications industry, and it is set up as a REIT. Uniti was spun off from Windstream in 2015. Its CEO is the brother of Windstream’s CFO. And Windstream makes up about 60% of Uniti’s revenue. Prior to the Windstream bankruptcy, Uniti’s dividend wasn’t in terrible shape. Funds from operations (FFO), a measure of cash flow for REITs, has risen each year since the spinoff. In 2018, Uniti is expected to log $392 million in FFO while paying out $425 million in dividends. That’s not great, but FFO had been expected to rise to $430 million in 2019, which would have covered the dividend. Uniti has consistently paid a $0.60 per share quarterly dividend since 2015 – so it has a very short track record but no cuts. Normally, your largest client doesn’t declare bankruptcy. Uniti’s management delayed the fourth quarter earnings release while it tries to figure out the effect of the Windstream bankruptcy. It expects to announce results by March 18. On Monday, Uniti announced that it would lower its dividend. In an SEC filing, the company stated that its 2019 dividend would be “limited to approximately $250 million,” down from more than $400 million last year. It also said that it may agree to new limitations under its credit agreement as to how much it is allowed to pay in dividends. The new restrictions would almost certainly lower the dividend further. Prior to the Windstream bankruptcy, Uniti’s dividend had some risk to it. Now a dividend cut is a sure thing, and another one is quite likely. Uniti is a good example of why companies need diverse revenue streams. When one company is responsible for the majority of another’s revenue and that first company runs into problems, the dividend of the second will almost surely be lowered. 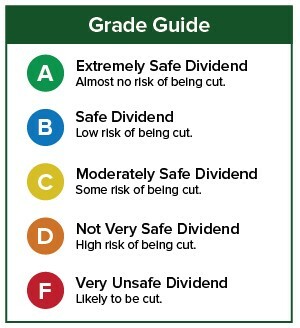 If you have a stock whose dividend safety you’d like me to look at, please leave the ticker symbol in the comments section. The post Say Goodbye to This 25% Yield appeared first on Wealthy Retirement.